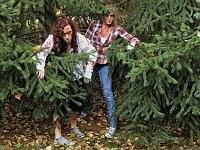 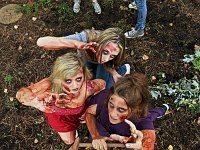 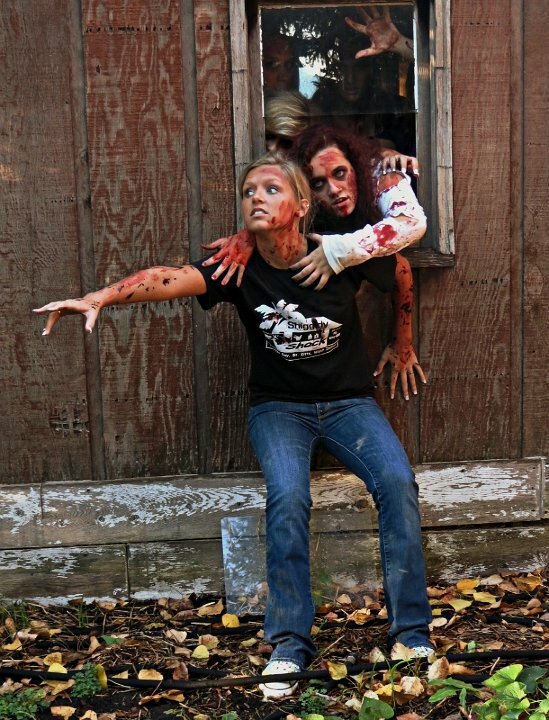 Beware of zombies wearing chucks! 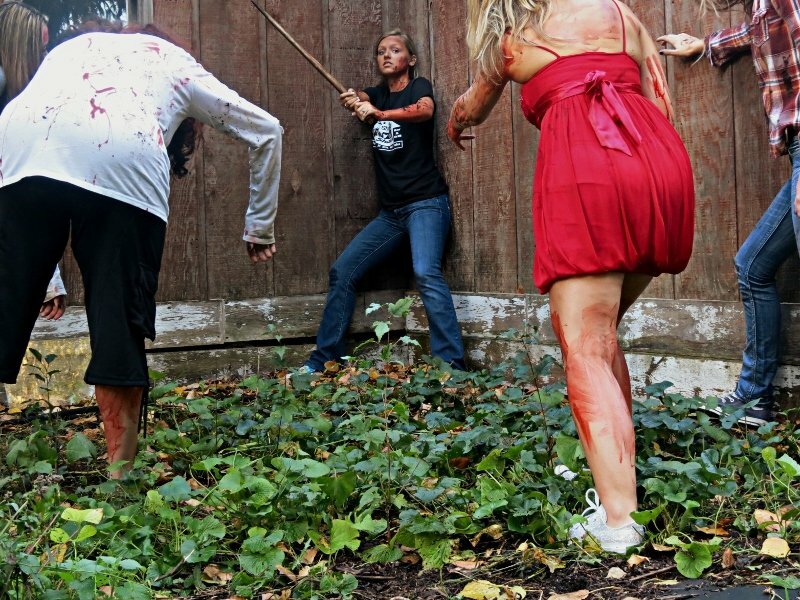 1 Zombies Wearing Chucks An undead prom queen wearing silver low cut chucks. 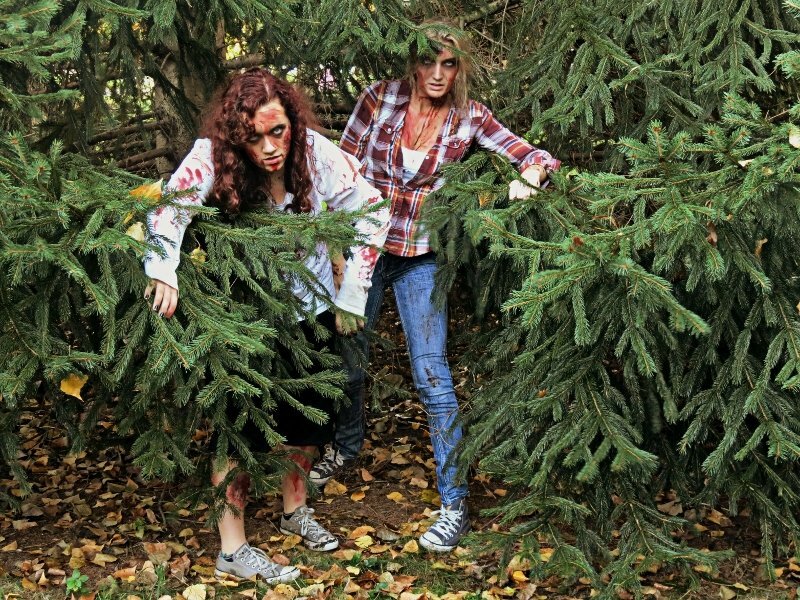 2 Zombies Wearing Chucks A freshly dead zombie wearing white low cut chucks. 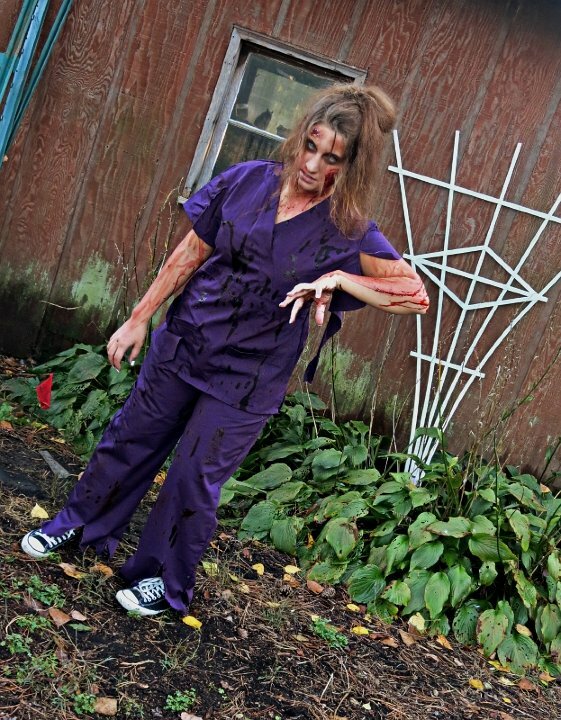 3 Zombies Wearing Chucks An undead nurse wearing black chucks. 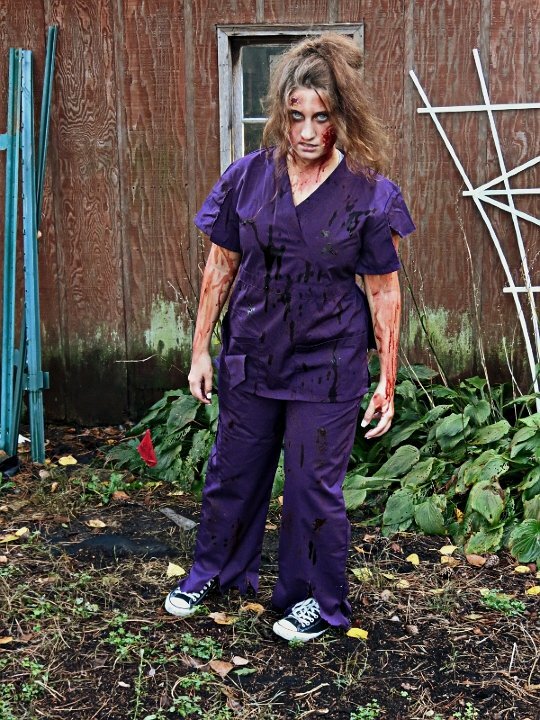 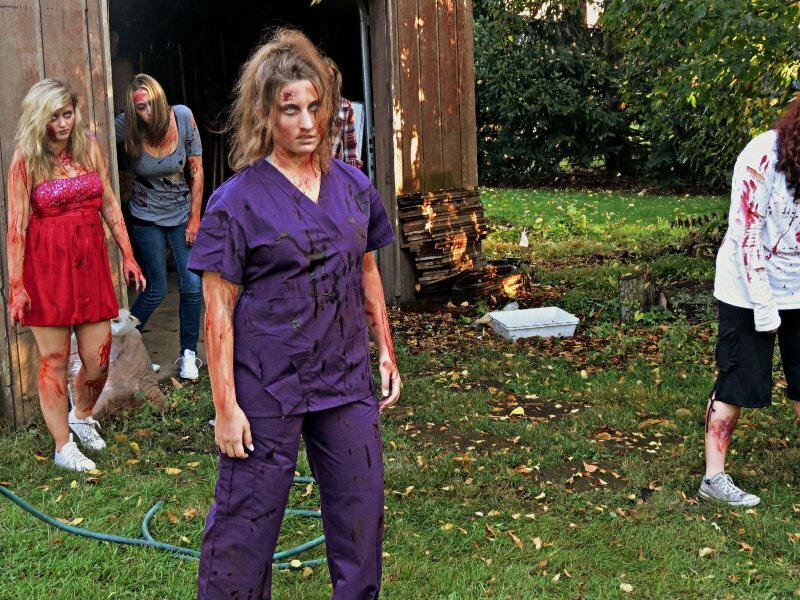 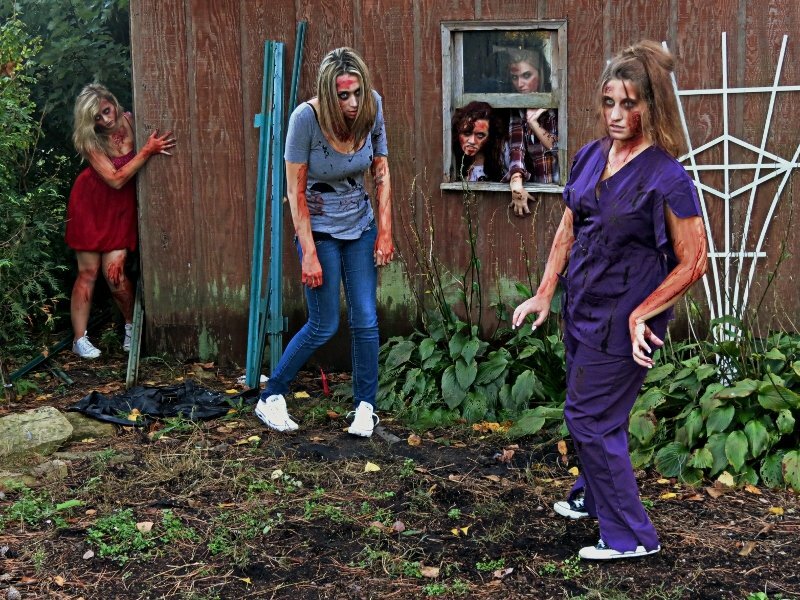 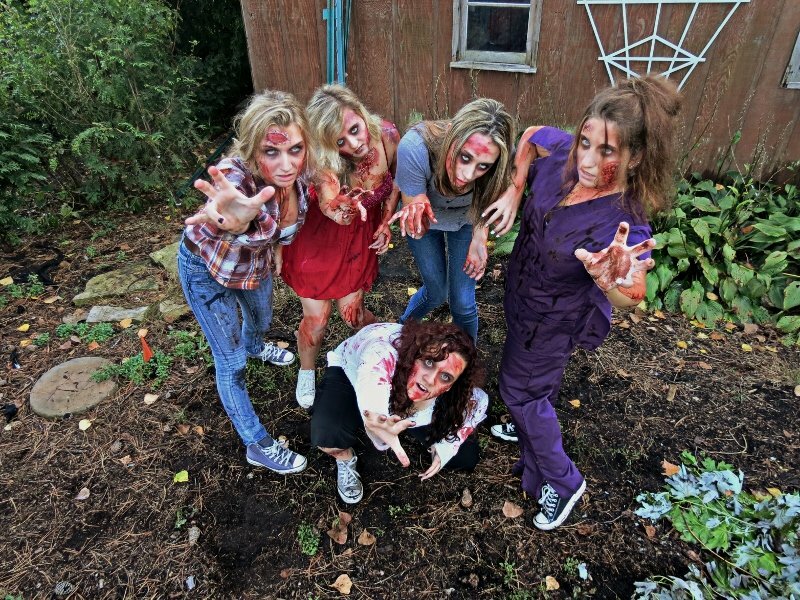 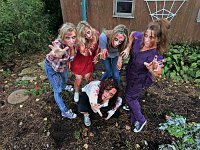 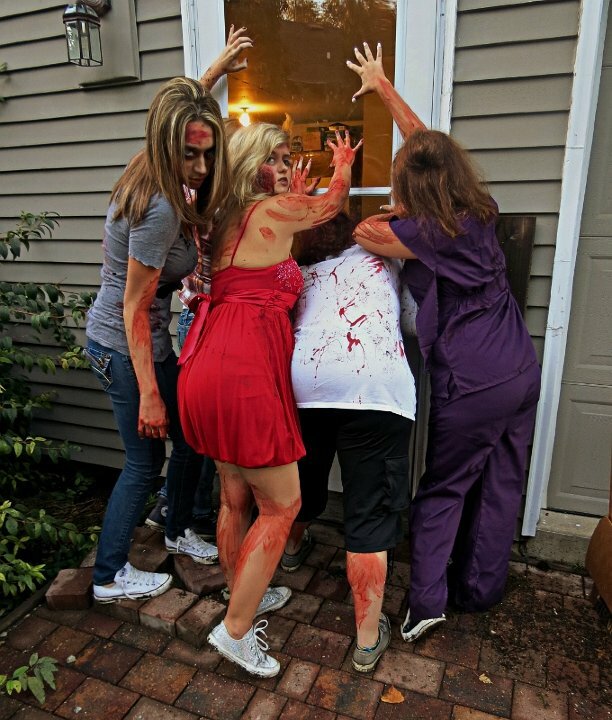 4 Zombies Wearing Chucks An undead nurse ready to attack in her chucks. 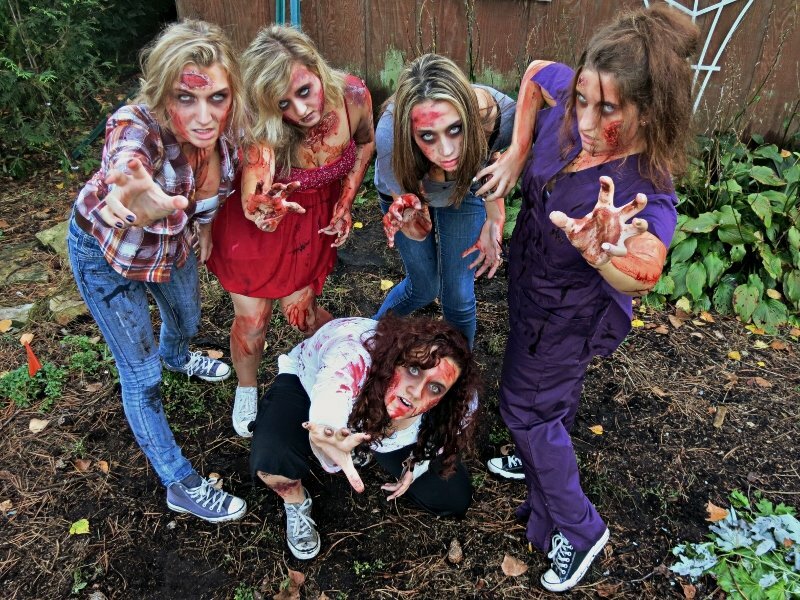 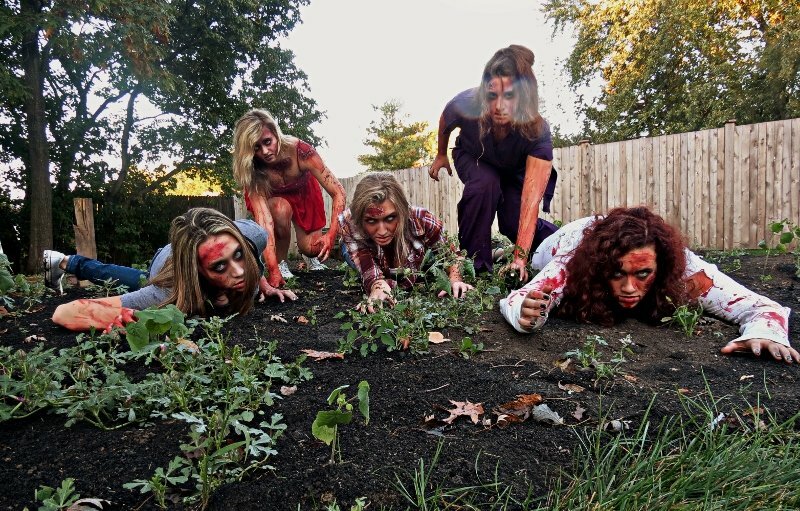 5 Zombies Wearing Chucks A hungry looking zombie wearing gray chucks. 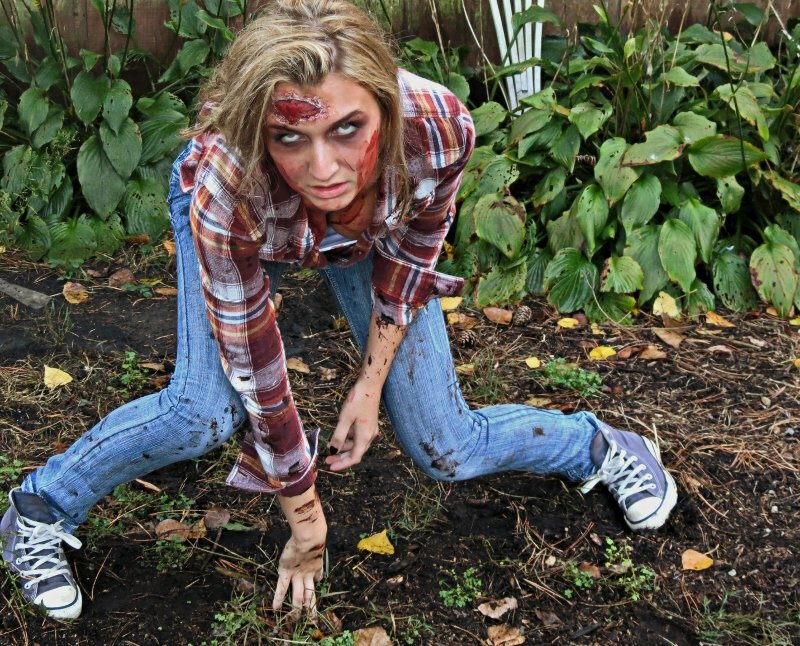 6 Zombies Wearing Chucks An undead zombie getting ready to chase her next victim. 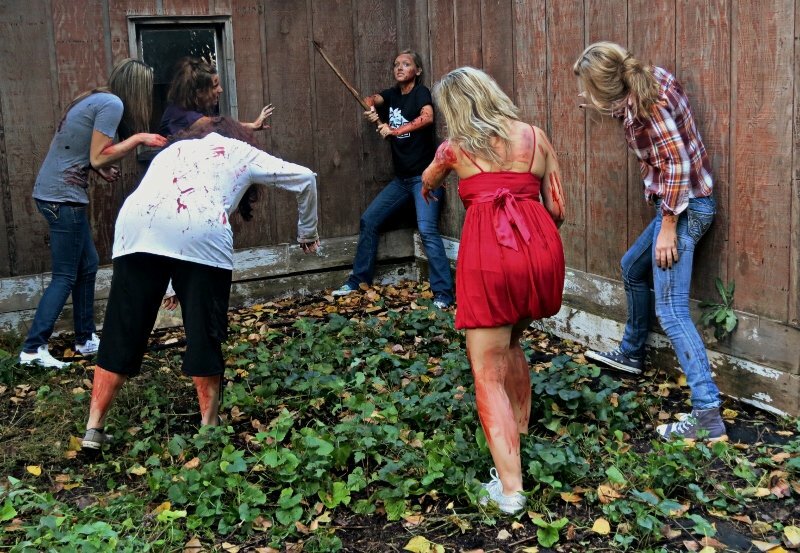 7 Zombies Wearing Chucks A group of zombies stumbling out of an abandoned shed. 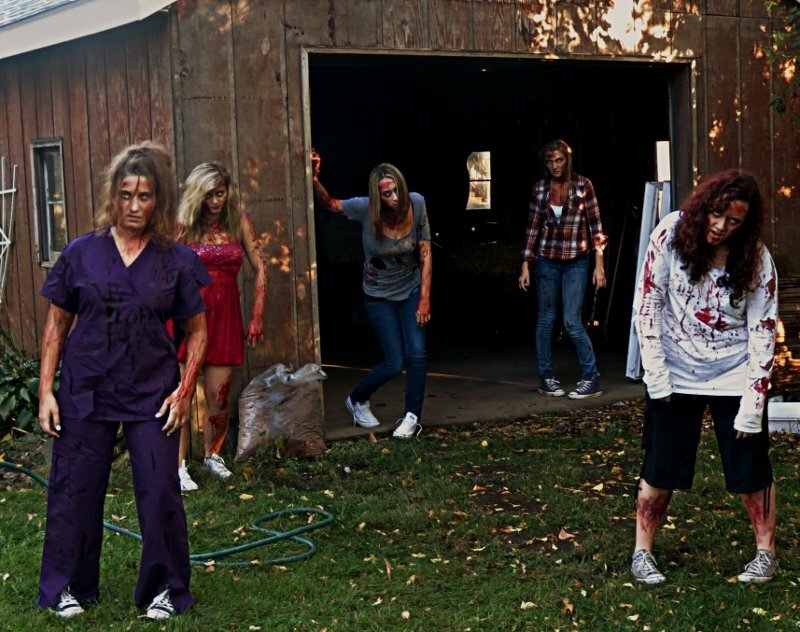 8 Zombies Wearing Chucks A group of freshly undead zombies exploring an abandoned shed. 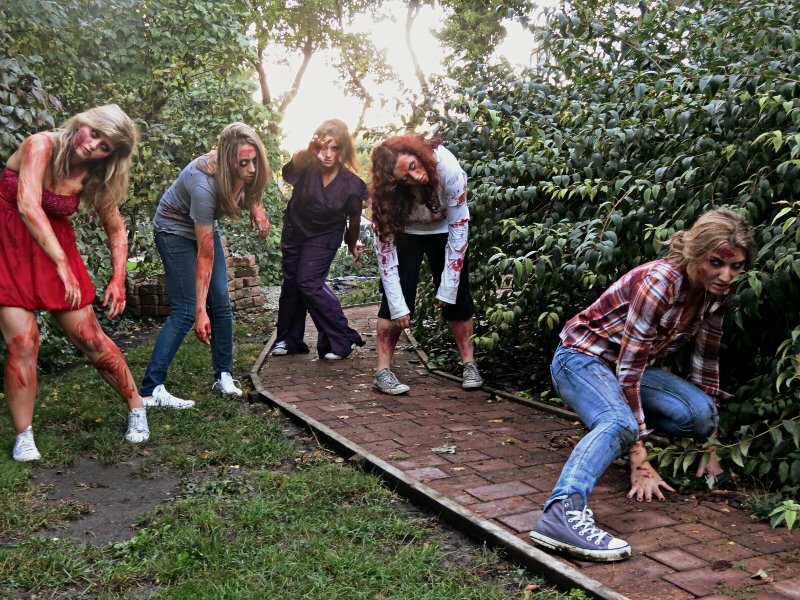 9 Zombies Wearing Chucks A group of zombies searching for some brains while wearing chucks. 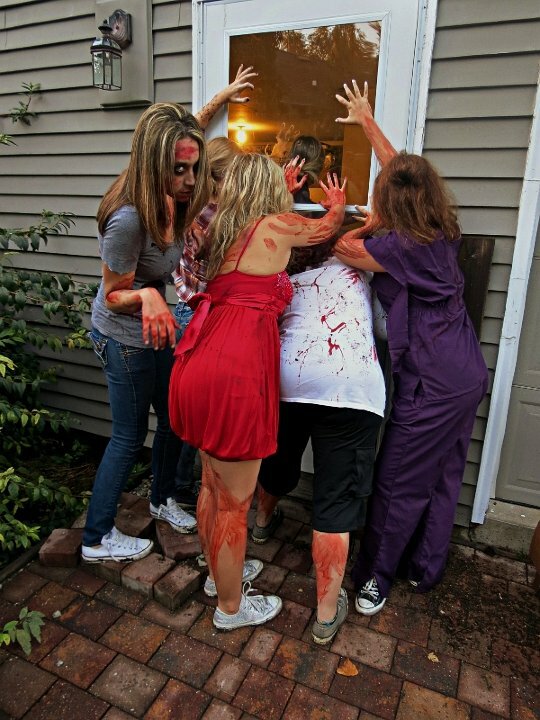 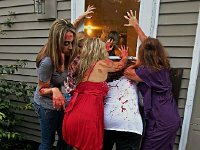 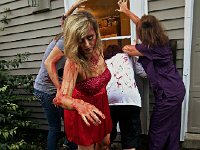 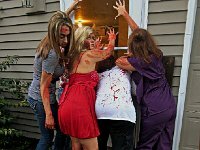 10 Zombies Wearing Chucks Zombies trying to break into a house. 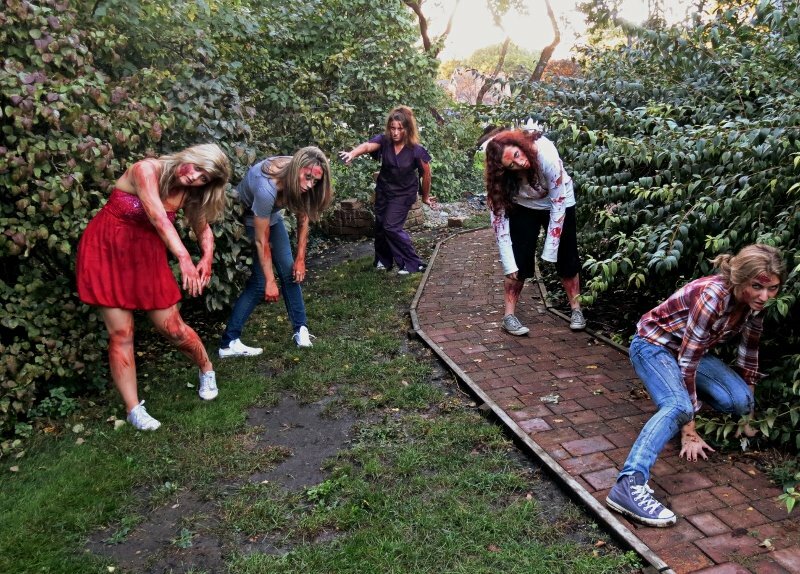 11 Zombies Wearing Chucks Zombies noticing a human standing behind them. 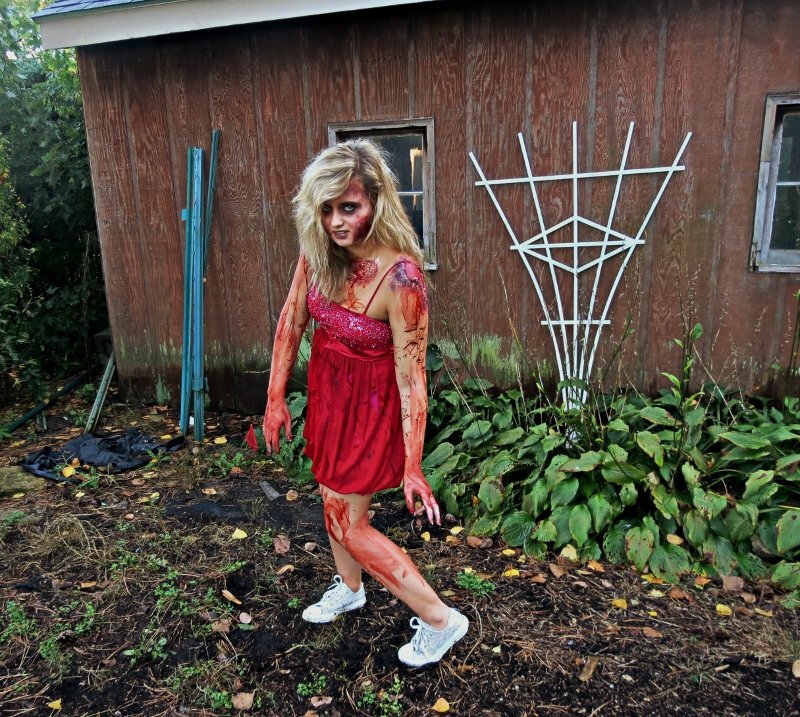 12 Zombies Wearing Chucks Zombie prom queen showing off her silver chucks as she walks towards her next victim. 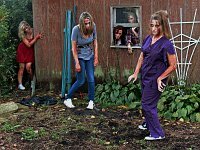 13 Zombies Wearing Chucks Zombies that have taken over an abandoned shed. 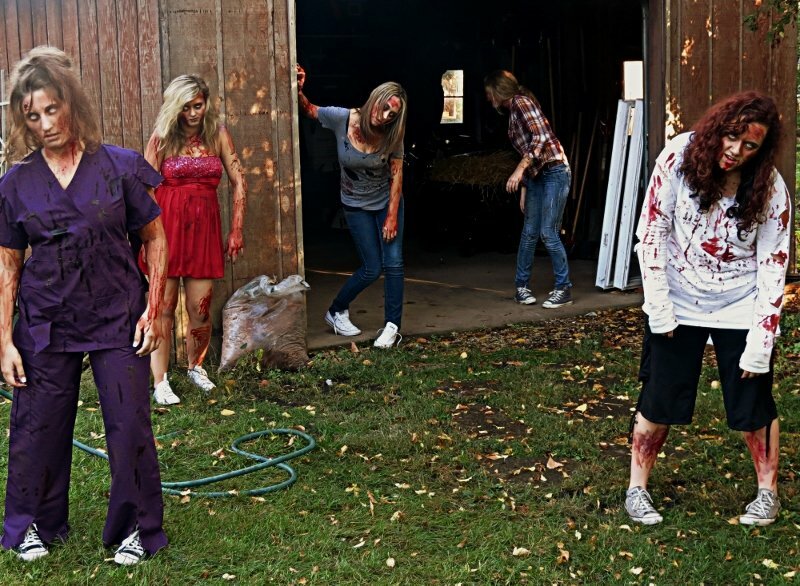 14 Zombies Wearing Chucks A zombie in white chucks and a zombie in silver chucks. 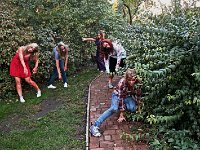 15 Zombies Wearing Chucks Zombies in gray, black, and white chucks sneaking out from behind some trees. 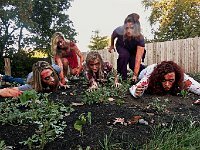 16 Zombies Wearing Chucks A zombie in white low cut chucks. 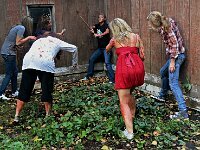 17 Zombies Wearing Chucks A survivor in tie dye chucks trying to fight off a zombie. 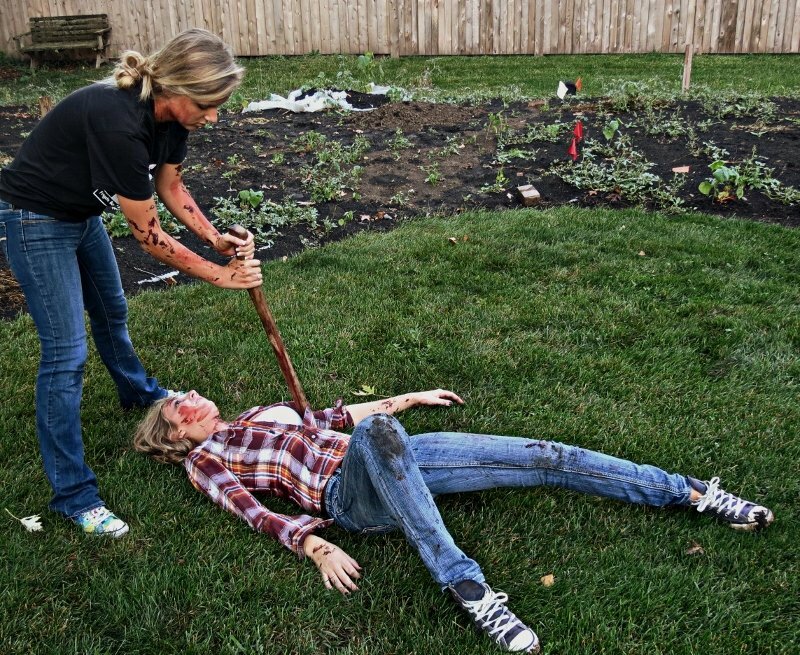 18 Zombies Wearing Chucks A human defeating a zombie. 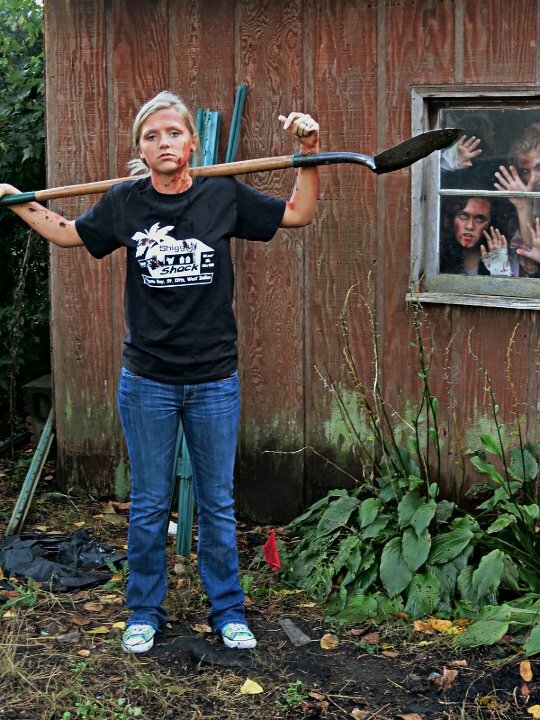 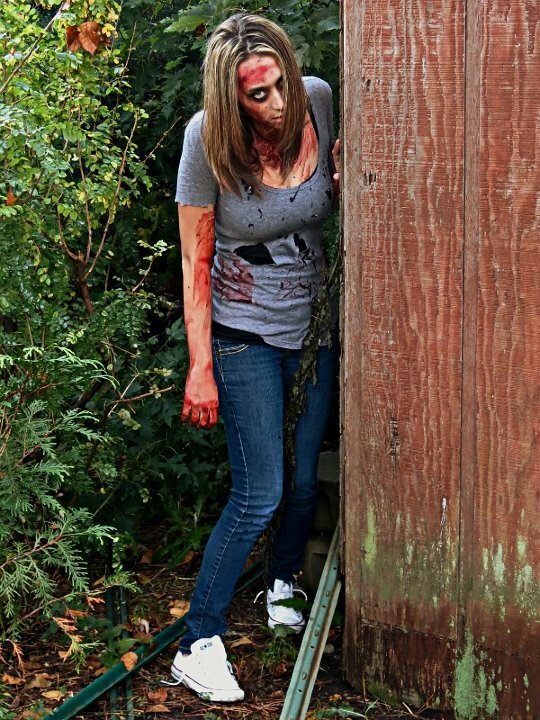 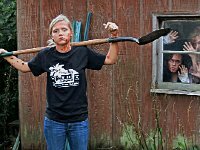 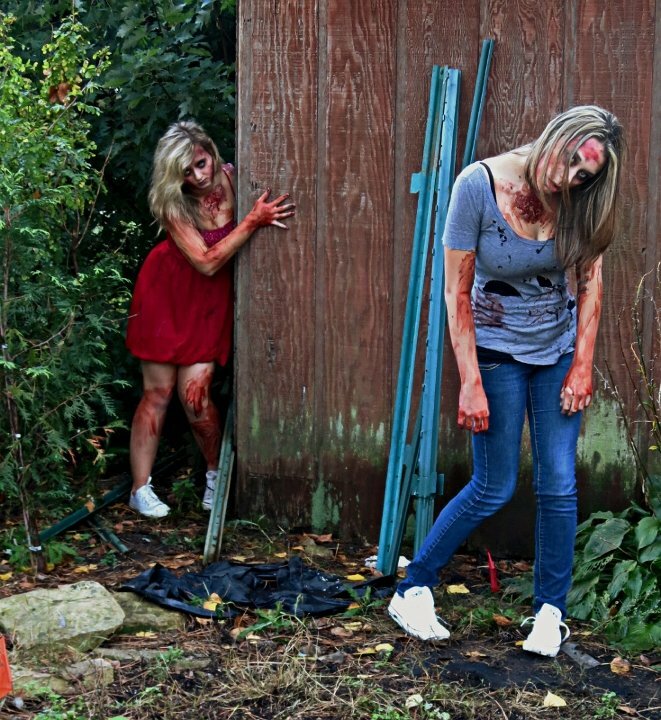 19 Zombies Wearing Chucks A human in tie dye chucks unknowing of the zombies in the shed behind her. 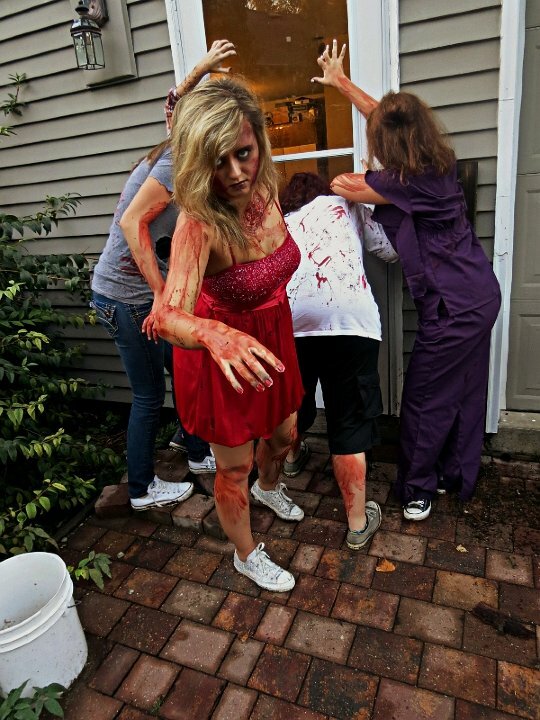 20 Zombies Wearing Chucks A survivor cornered by a prom queen in silver chucks. 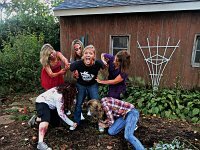 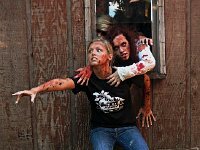 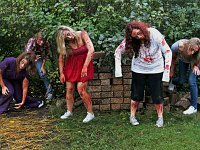 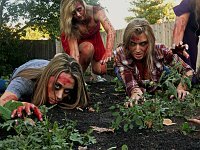 21 Zombies Wearing Chucks A zombie in gray chucks joins the zombies cornering the human. 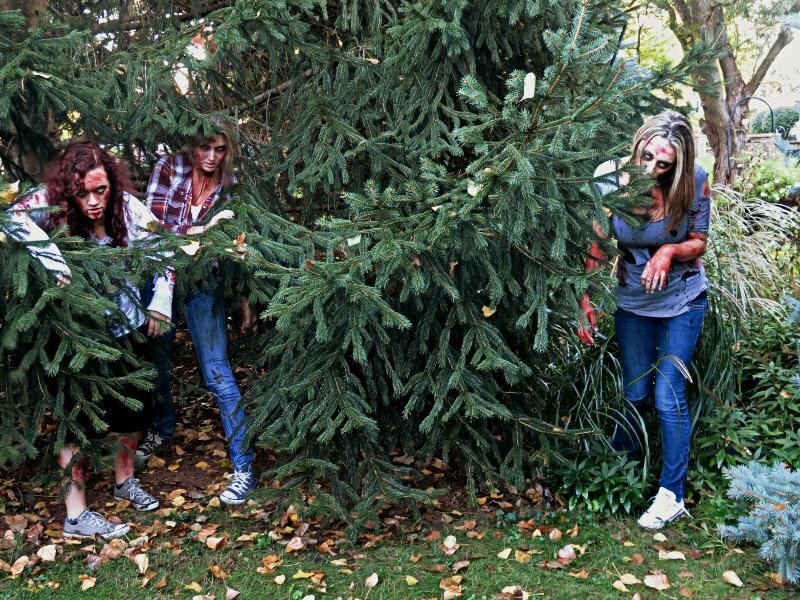 23 Zombies Wearing Chucks A zombie grabbing a human wearing tie dye chucks. 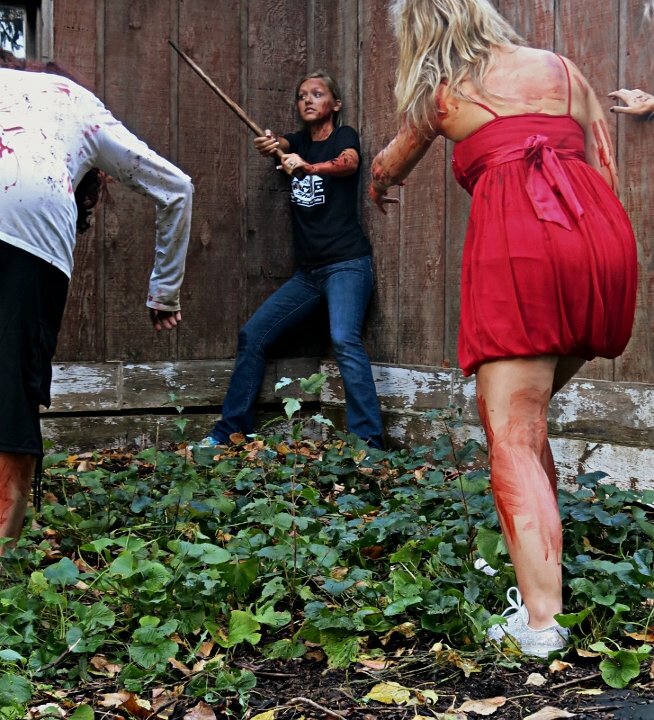 24 Zombies Wearing Chucks A human captured by zombies in chucks. 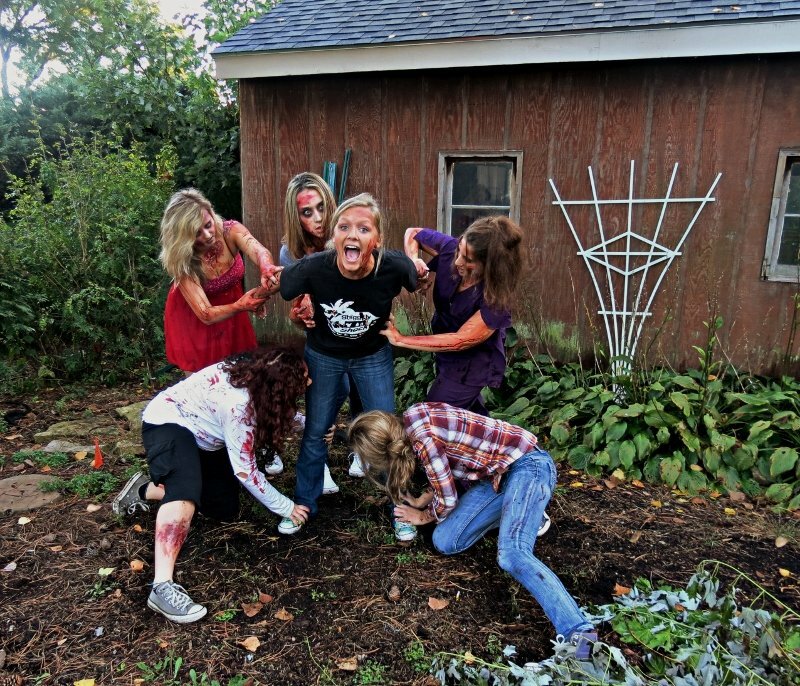 25 Zombies Wearing Chucks Zombies attacking a human for her brains…and chucks. 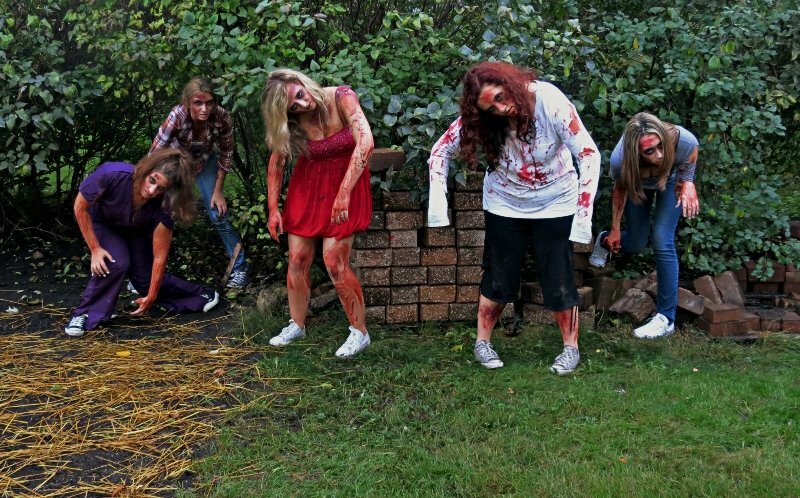 26 Zombies Wearing Chucks Zombies wearing gray and black chucks. 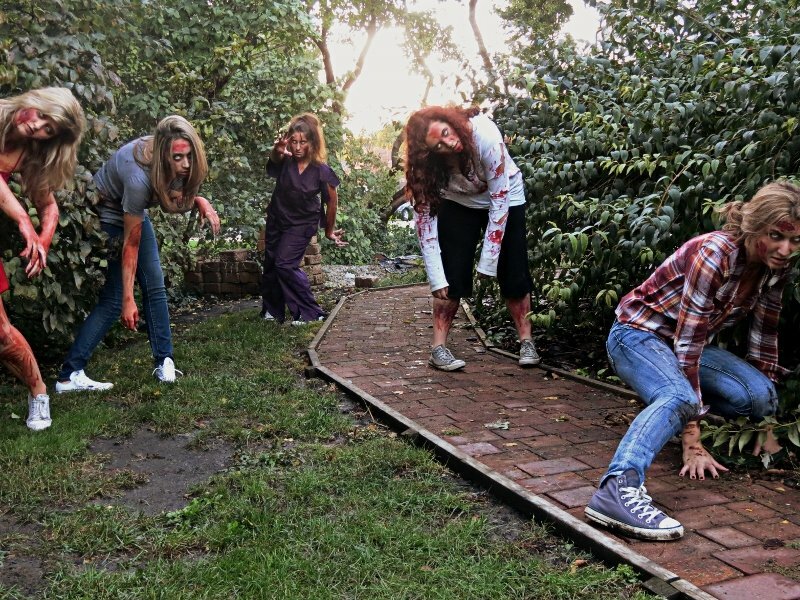 27 Zombies Wearing Chucks A group of hungry zombies wearing chucks. 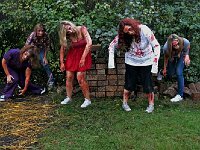 28 Zombies Wearing Chucks Zombies wearing black, silver, gray, and white chucks. 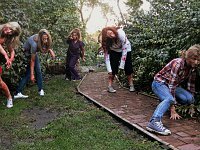 29 Zombies Wearing Chucks Zombies shuffling forward. 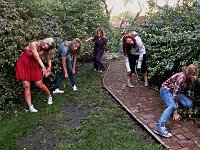 30 Zombies Wearing Chucks Zombies moving closer. 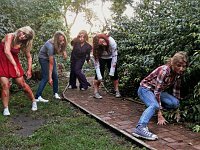 31 Zombies Wearing Chucks Zombies moving comfortably in their chucks. 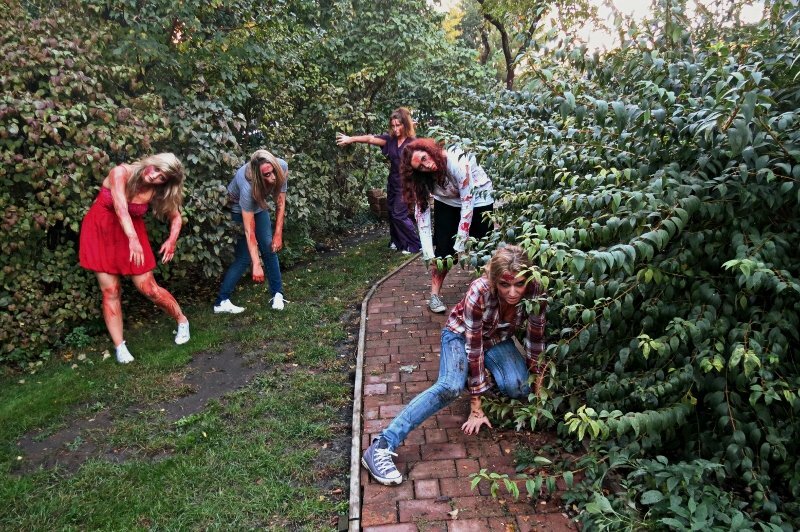 32 Zombies Wearing Chucks Zombies walking down an abandoned path. 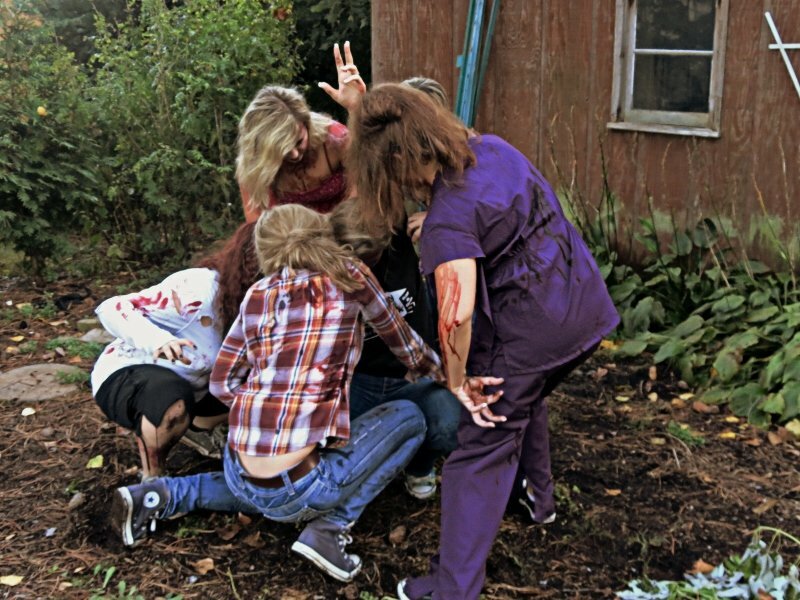 33 Zombies Wearing Chucks Zombies crowding around their next victim. 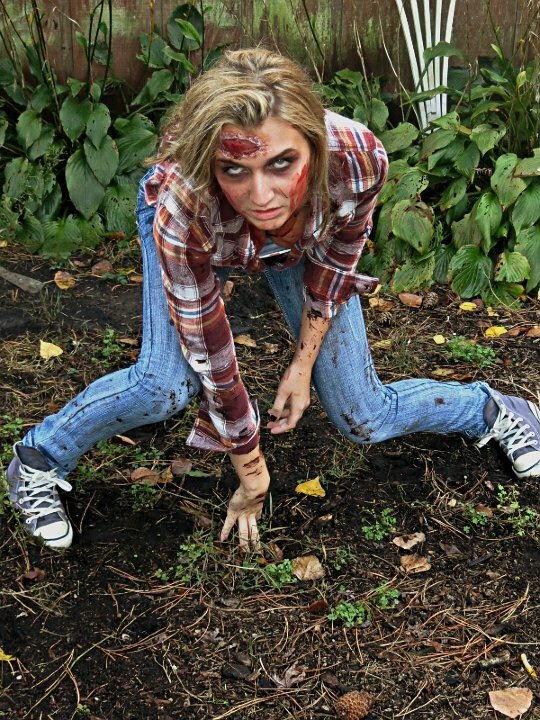 34 Zombies Wearing Chucks Zombies crawling through the dirt. 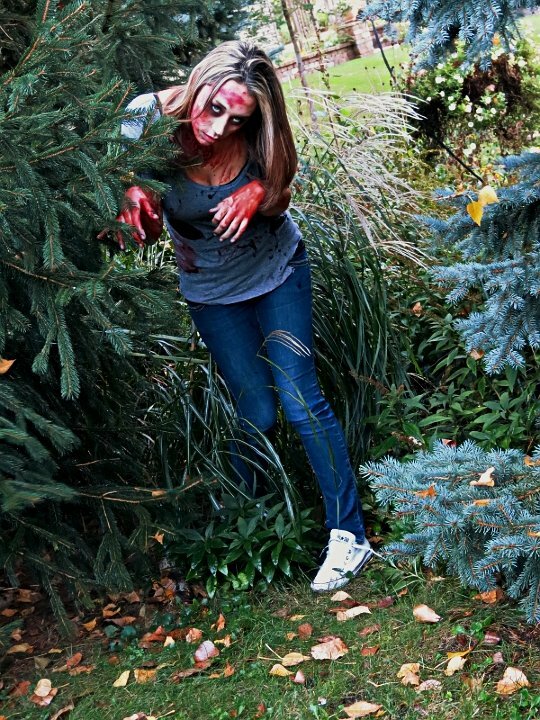 35 Zombies Wearing Chucks A prom queen zombie choosing not to crawl so she can keep her chucks clean! 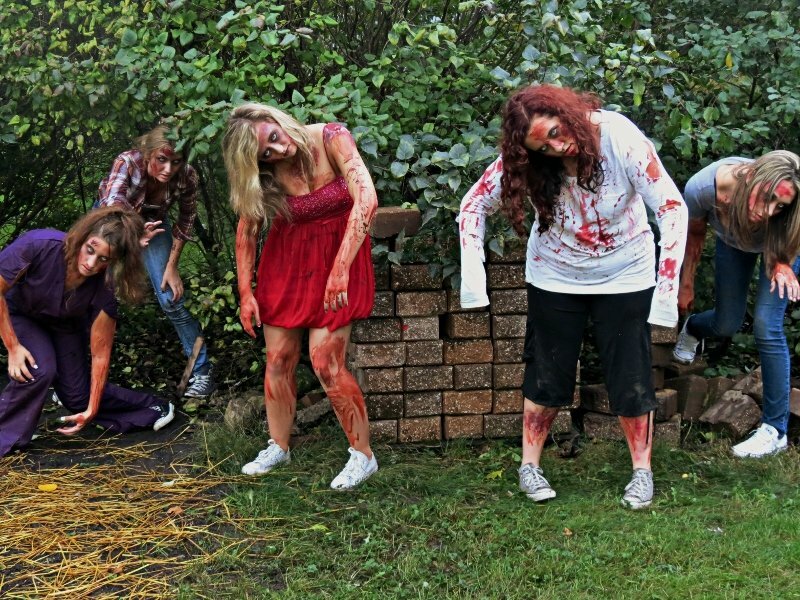 36 Zombies Wearing Chucks A group of zombies showing off their chucks. 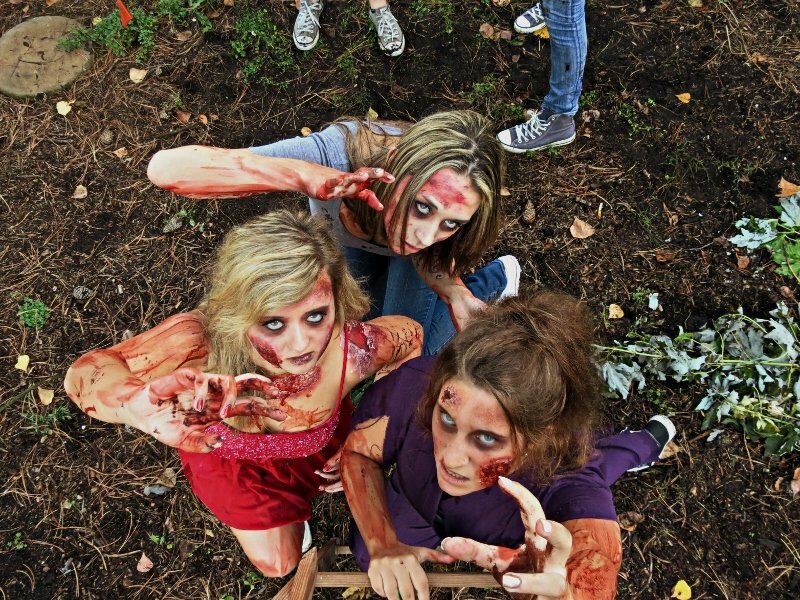 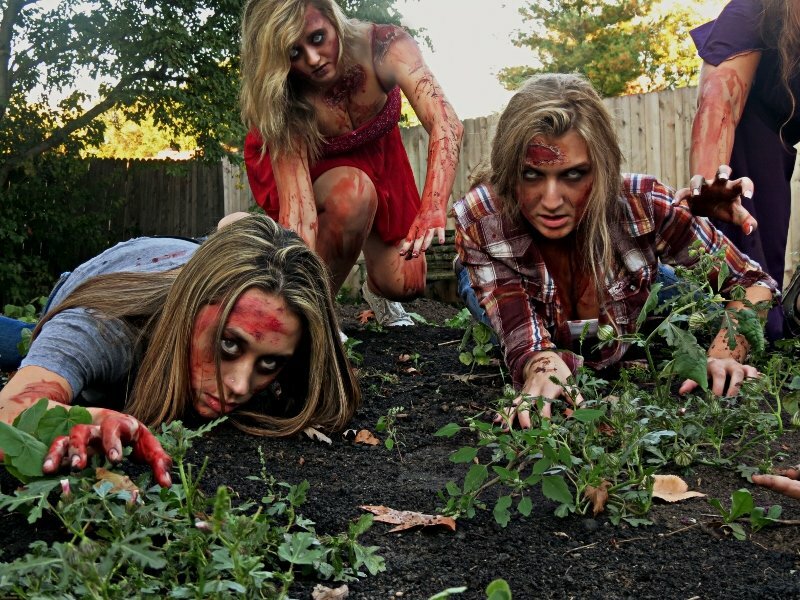 37 Zombies Wearing Chucks They may be dead, but at least these zombies have a sense of style!